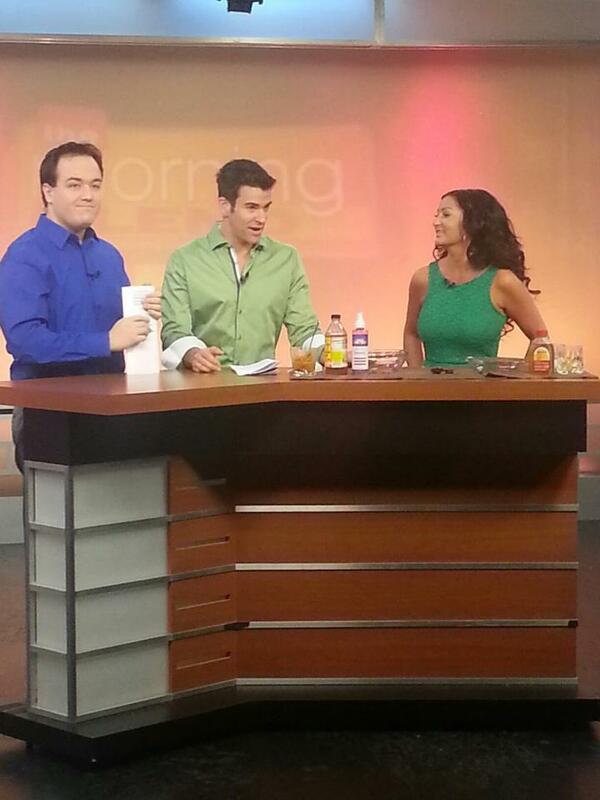 Heather demonstrating Beauty Kitchen on "The Morning Blend"
I met Heather on the set of The Academy of Country Music Awards. We were standing in for the various country singers performing that weekend. She told me about her "spa from your kitchen" recipes and I thought it all sounded pretty creative! I also respected the fact that she put it all together and has been running her Beauty Kitchen business for over a year now. Heather's success did not come without some obstacles. An awareness that a long held shopping habit was actually an addiction, she replaced it with something healthy....her passion for home made beauty treatments. "I don't let anything or anyone get me down," she told me. 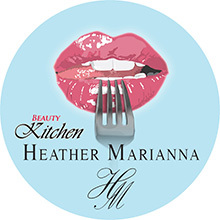 Heather seems like the kind of person who when she does something goes "all in"...and with the success of Beauty Kitchen, it shows! Anything you need to know about making spa products from ingredients in your kitchen you can probably find on any of her several DIY videos which can also be found on YouTube. She just reached over 2 million views, so her recipes must work! Heather is also passionate about working in entertainment and has been featured in various films in addition to hosting Beauty Kitchen segments for shows such as The Morning Blend and The Insider. Heather is a volunteer for the Nevada Partnership for Homeless Youth. She recently held a BBQ to coincide with a life skills class where she taught practical tips such as how to make your own soap.....www.nphy.org. When I asked her what are a few things she'd like to do she said, "Skydive, learn to swim, and all of things I am afraid of. "....Any lifeguards or skydiving instructors out there?? This is not a sponsored article. 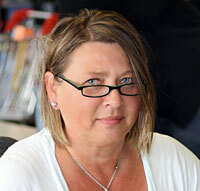 Anna Wendt, Copyright 2013. I love going to see "live" music. Especially jazz. You never know what you're going to hear, or how a song will be interpreted. Like most people I don't get out and do it enough, but I should more often because it is a gift to the heart and soul. With jazz you rarely ever hear a song just like it was originally recorded, and that is its magic. 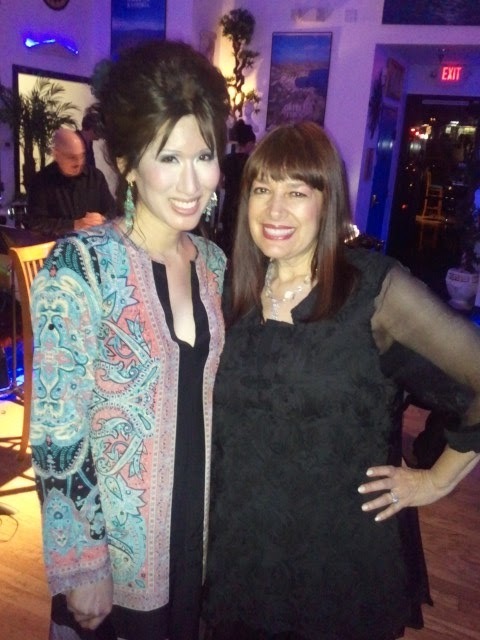 Earlier this month with some friends I checked out jazz singer Rita Lim and some of her friends at the Mad Greek Cafe...(another unique venue here in Las Vegas). True to the nature of jazz, Rita and her friends interpreted some well known songs in a way that was new to me such as Rainbow Connection, (which I now no longer think of as a song from the Muppets), and a melody from The Carpenters, (Close to you).. that was very different than the elevator sound of the 1970's version. I always thought Karen Carpenter had such a longing, a sadness in her voice that many didn't pick up on. Rita did. I liked the sisterhood on display that evening. She was first joined by the talented Carol Joyce, her "sister from another mister" as she describes her. They are now good friends after meeting the first day of rehearsals singing backup for a Barbra Streisand performance. She was also joined by Bill Fayne for a duet of "Somewhere out There" again, an interpretation with poignancy and on Bill's part, grit. I'd like to thank them both for giving that song it's true "due" and getting the movie version out of my head. Stuart Schweit's rendition of "What a Wonderful World" was hauntingly beautiful, reminding us all of the joys of simple moments of happiness and wonder in between the emotional peaks and valleys of life. Later joined by Michelle Johnson and Pascale Elia, the sisterhood on display by Rita and her friends was something that effected me that night. Whether intending to or not they reminded me of how much our friends can support and lift us up. They weren't just singing together they were experiencing the music....as one. I noticed Rita was so much more free when singing with others. Like training wheels on a bicycle. My observation is she doesn't need those training wheels to shine, but with them feels more free to express herself and tap into her true talent. One line from one of the songs she performed with her friends was..."life was a tragic joke before I met you"....haven't we all felt that way about someone at one time or another? Rita and her friends were supported by the talented and respected musicians; Dan Ellis on Keys, Mike Michem on Drums, Fred Watstein On Bass, Pablo Gadda on Guitar. ... "when I was playing classical music I wouldn't dare get away from what I was reading. If you've noticed, all of the symphonic musicians, they have played some of those classical tunes for years but they wouldn't vary from one note—and every time they play they have to have the music. So that's why for some classical musicians, it's very difficult for them to try to learn how to play jazz." In jazz, therefore, the skilled performer will interpret a tune in very individual ways, never playing the same composition exactly the same way twice. Depending upon the performer's mood and personal experience, interactions with other musicians, or even members of the audience, a jazz musician may alter melodies, harmonies or time signature at will. This is what I first thought of when hearing that the "Miss America Pageant" ended its several year reign here and is going back to Atlantic City where it all began so long ago. They had a great run, and many will miss them...especially me, since I have been their Las Vegas based rehearsal host for several years. That means my reign is over now too......That's okay. I am still involved with this great group of people as a friend and judge on the state and local level. 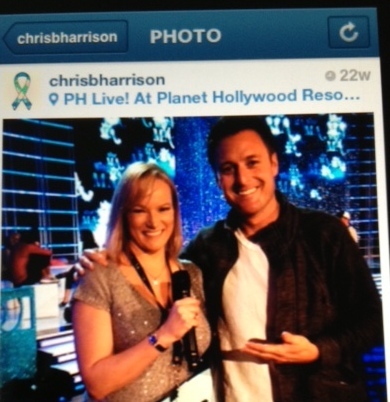 I enjoyed standing in for Brooke Burke, Gretchen Carlson, and yes, once even Chris Harrison, as rehearsal host while working with the contestants as they lived out their dreams competing for the big one! They had all worked hard to win their local, then state pageants, (some attempting multiple times), in order to be there. Also, many times either myself or my sister Karen, also a rehearsal actress, "won" the title of "Miss America" for rehearsal only and walked down the runway to the song, "There she is". Though we never did get to wear the real crown. It was kept guarded in a wooden box on a little pillow, to adorn only the head of the new title holder. I have also had the privilege many times of being the rehearsal host for the Miss USA and Miss Universe Pageants, also in Las Vegas, but I am not talking about them right now. 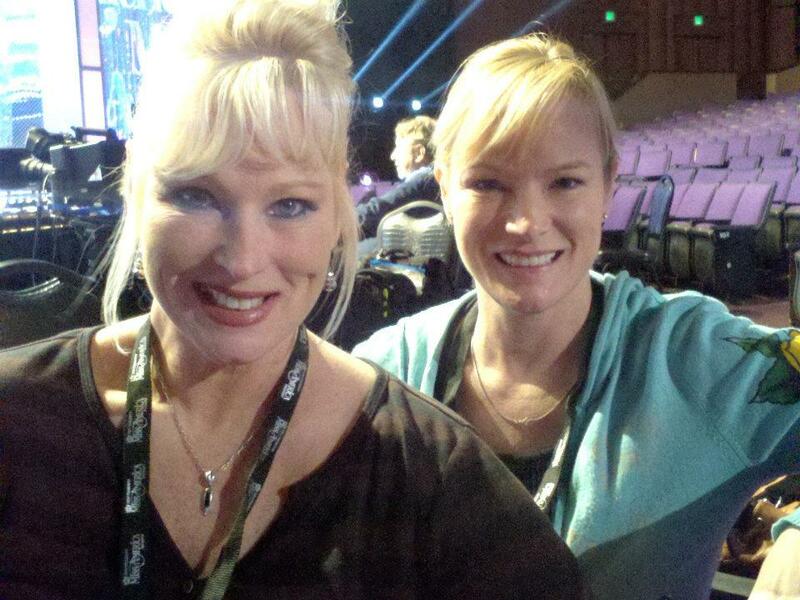 Miss America is a different pageant, a scholarship competition, with a 93 year history. The Miss America contestants have always been pretty, and fit. However, I have noticed in the past few years they have really stepped up their game with hair, make up and wardrobe. Has some of glitz of Las Vegas rubbed off on them? Perhaps. If we gave the pageant a little more sophistication then maybe they gave us something too. An extra dose of credibility. When the politicians were bashing Las Vegas as a convention destination and the "Hangover" films highlighting our party vibe, the fact is this wholesome and all American pageant wouldn't have been held here so many years in a row if we were that "unruly" of a city. When I visited the offices last summer in New Jersey I got a close up look at the Miss America Organization and its rich history. The oil paintings adorning the walls showing each and every former title holder reveal the changes in women's style over the years, as do the crowns, from the very first one (it was cloth, believe it or not) to the modern tiara. After my visit I attended a "Miss New Jersey Pageant" on the breezy, beautiful and historic, Ocean City pier. The lights on the rides glowed behind us and current and former beauty queens were everywhere, from very young to very mature...There was an excitement in the air that made me think .... the national pageant will be back in Atlantic City someday I bet, and now it is. Best wishes to a true American tradition on your next chapter! Thanks for the Instagram plug, Chris! Since 1989 Miss America contestants have required a platform in order to participate as a contestant. They don't just pick some charity and slap it on their resume. Many hours of time, effort and fundraising are put in. Many of the former title holders at all levels, not just the national level have gone on to careers as high achievers in business, entertainment, teaching, law, and medicine. Thinking of or know someone who would like to participate in a Miss America Organization scholarship competition at the local level? Here's how! "I am not much like him (Tony Soprano). I have always had special interest in actors and artists who come from common childhoods and average means and achieve successful careers. This is so hard to do that if anyone starting out in entertainment even knew how hard, most wouldn't even bother to try. 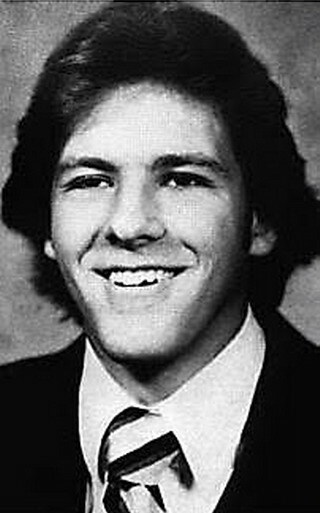 James Gandolfini did try....from college student to bartender and bouncer, one day he decided to give acting a shot, and the rest is history. From Broadway to TV, small film roles, back to TV (in a big way as Tony Soprano on "The Sopranos"), and on and on, his career was 27 years of good, solid acting. One of the more striking notes about his death is the fact that he died from sudden cardiac arrest. I could not help but remember that is exactly how his most well known character Tony Soprano went, as well. Suddenly. Lights out. Gone. End of story. Also, ironically on IMDB the most recent project listed for James is a TV movie called "Big Dead Place". Jim, as his friends called him, made his Broadway debut in the small part of Steve Hubbell in the 1992 revival of A Streetcar Named Desire, starring Alec Baldwin and Jessica Lange. He was also seen as Charlie Malloy on Broadway in the short-lived 1995 stage version of the film On the Waterfront. He played the trumpet and saxophone. 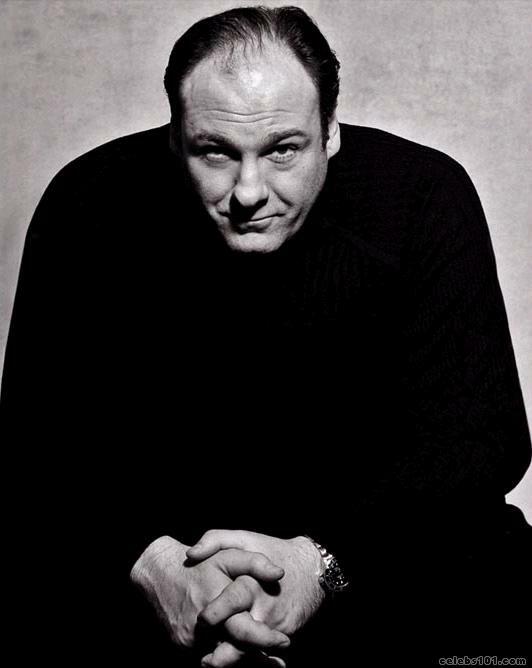 Although he often played thuggish or brute characters, he is actually somewhat of a pacifist off-stage; he had reservations about continuing his production contract as Tony in "The Sopranos" (1999) due to the show's violent content and stereotype of Italian-Americans. Well trained in Krav Maga, (an Israeli style of Martial Arts) which he practiced for 2 1/2 years. Has often said Robert De Niro played a considerable role in his decision to become an actor; grew up watching Mean Streets (1973) over and over again. Nominated for the 2009 Tony Award for Best Performance for a Leading Actor in a Play for "God of Carnage", Gandolfini won other major awards such as three Emmy Awards and five Golden Globes. Known to be a shy man, uncomfortable being a "celebrity". He left behind two children. A teen son and a baby daughter. James was considered for the role of Vincent Vega in Pulp Fiction (1994). He starred in five films with lifelong friend John Travolta. I thought, I've never been the lead before. They're gonna hire somebody else. But I knew I could do it. I have small amounts of Mr. Soprano in me. I was 35, a lunatic, a madman. - on his reaction to "The Sopranos" pilot script. It's been a great opportunity, but I don't have much trepidation about it ending. I think it's more than time. Part of the fun of acting is the research, finding out about other people. As much as I've explored this guy, I don't know what else to really do with him. I've been in one place for 10 years. That's enough. It's time for me to do other things. - about ending "The Sopranos"
I dabbled a little bit in acting in high school and then I forgot about it completely. And then at about twenty-five I went to a class. I don't think anybody in my family thought it was an intelligent choice. I don't think anybody thought I'd succeed, which is understandable. I think they were just happy that I was doing something. My favorite role of James was as Big Dave Brewster in "The Man Who Wasn't There", this is because it is the role least like the type he usually played. How many of "you" are out there?? Have you ever looked your name up on Bingimages.com? If you haven't I suggest you try it sometime. There are usually about 10 or more photos of other people with your same name! I find myself looking at these a few times a year just to see who else named Anna Wendt is pictured on the site. I tried it again today and below is a random sampling of the other Annas. I think this is my favorite other Anna Wendt. Doesn't she look friendly? 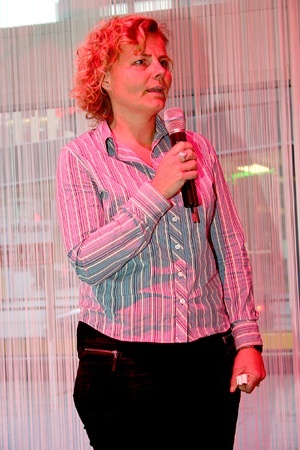 This Anna Wendt looks very serious...she must be talking about something extremely important...(or maybe just nervous about singing karaoke). 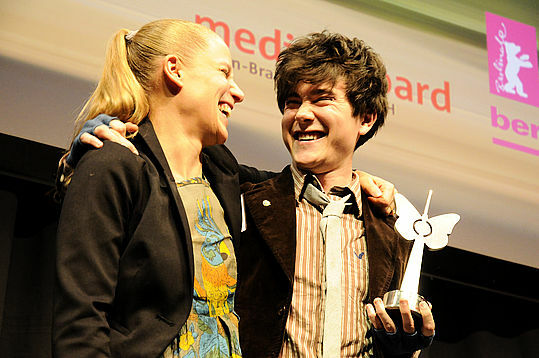 This Anna Wendt looks like she spends time backpacking in Europe, and I notice looks great with hardly any make up on. I wouldn't try to get anything past this Anna Wendt....looks like she's on to you! 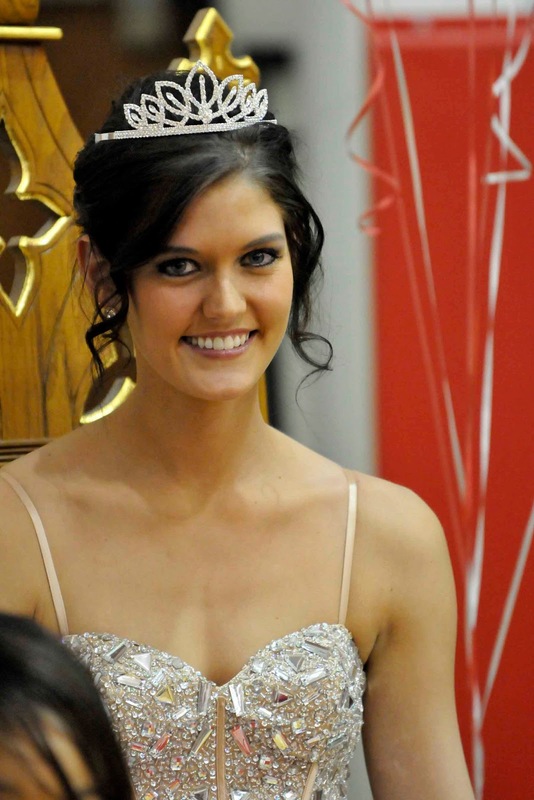 A lovely beauty queen Anna Wendt. Don't know her title but she looks "regal". And lastly, an Anna Wendt that reminds of myself in my 20's...except she looks more relaxed than I was. She must know what I have since learned...nothing is THAT serious. Hope she's having fun! All above commentary is purely speculation. I know nothing about these ladies except for their name!